Visit Scotland's largest loch as well as one of its most important castles. Begin this wonderful tour by meeting up with a fun and knowledgeable English-speaking tour guide at Rabbie's Café Bar, Waterloo Place in Edinburgh. You'll hop on a comfy coach and travel through the historic grace of Linlithgowshire. 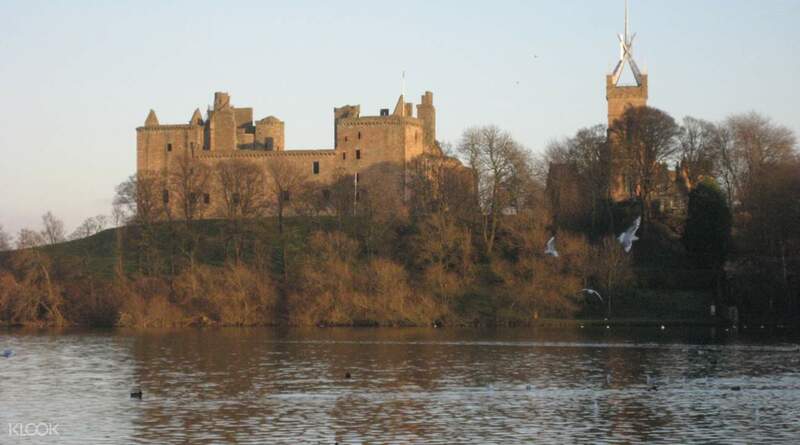 While you're there, the guide will help you spot Linlithgow palace, the birthplace of Mary, Queen of Scots. After passing through Linlithgowshire, you'll stop by the famed Kelpies Monument. 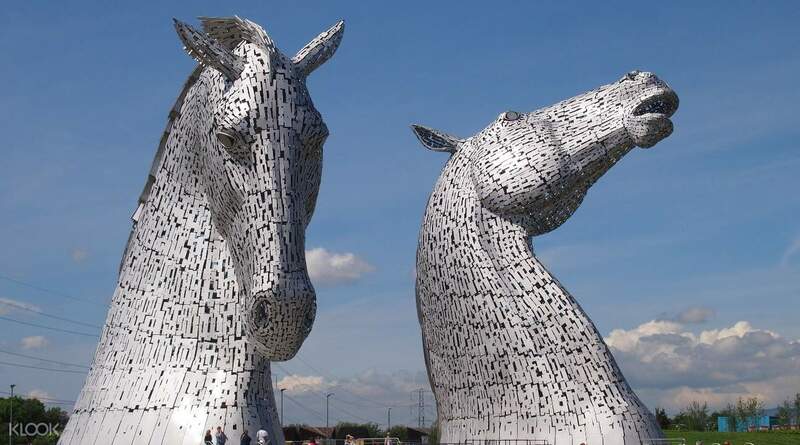 These two horses’ heads stand as a testament to the horse power that drove the industrial development of Central Scotland. After admiring this monument, you'll head to the shores of Loch Lomond, which is Scotland’s largest loch and is protected as Scotland’s first National Park. 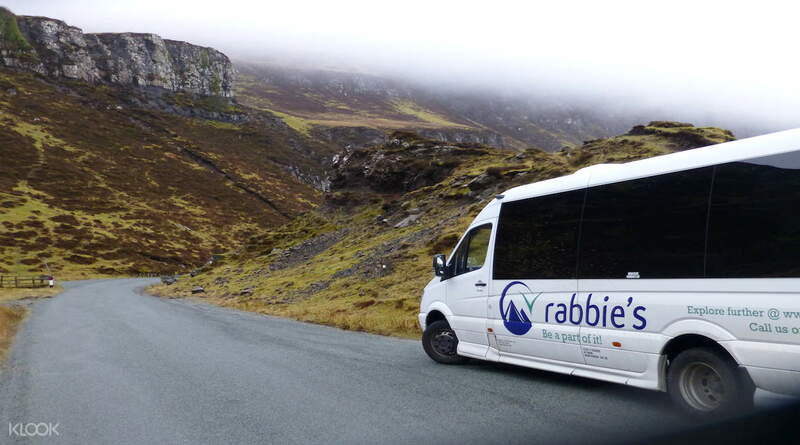 This is the perfect place to enjoy a walk along the "bonnie banks" and take in fantastic views of the mountains. This tranquil area was once the home of Scotland’s famous highland folk hero, Rob Roy MacGregor. By spending time on the trails by the loch, you’ll be walking in the footsteps of one of Scotland’s greatest legends. 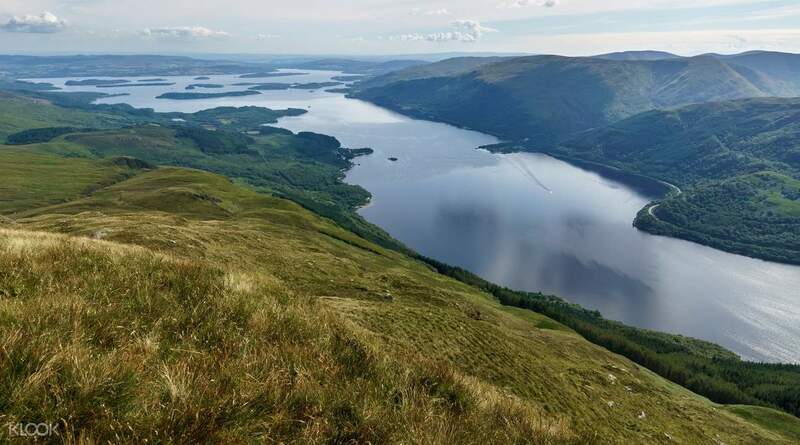 Right after that, you'll head into the Trossachs, or "The Highlands in Miniature", where the Lowlands meet the Highlands; here, you'll get stunning views of steep mountains, shimmering lochs, and thick forests. 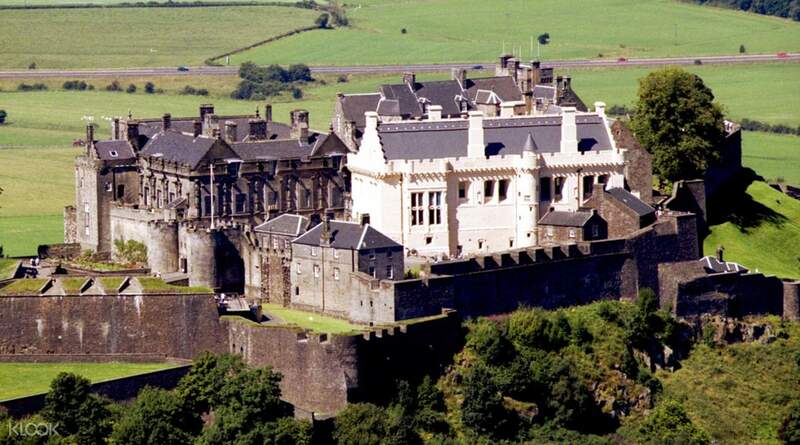 You'll stop for lunch in the heart of the National Park, then journey to the grand city of Stirling where you can visit one of Scotland's most magnificent castles, the Stirling Castle. You can explore its halls and learn why this castle is significant in Scottish history from the tour guide. Once you're done roaming around the castle, you'll journey back to Edinburgh and pass by the Kelpies Monument one more time before arriving. This tour is perfect for anyone who wants to admire beautiful sceneries and learn about the heroes, tragedies, and landscapes that defined Scottish history. Tour by Jim Scott was good! Location was convenient, and we were given ample time to visit both the loch and the castle. Tour by Jim Scott was good! Location was convenient, and we were given ample time to visit both the loch and the castle. To me, Loch Lomond is just a lake, nothing much. Stirling Castle is not spectacular, if you been to Edinburgh Castle, you will find that Stirling Castle pale much in comparison. Not worth the day trip. To me, Loch Lomond is just a lake, nothing much. Stirling Castle is not spectacular, if you been to Edinburgh Castle, you will find that Stirling Castle pale much in comparison. Not worth the day trip.